Plus three more flavors rumored to be in the works for next year. 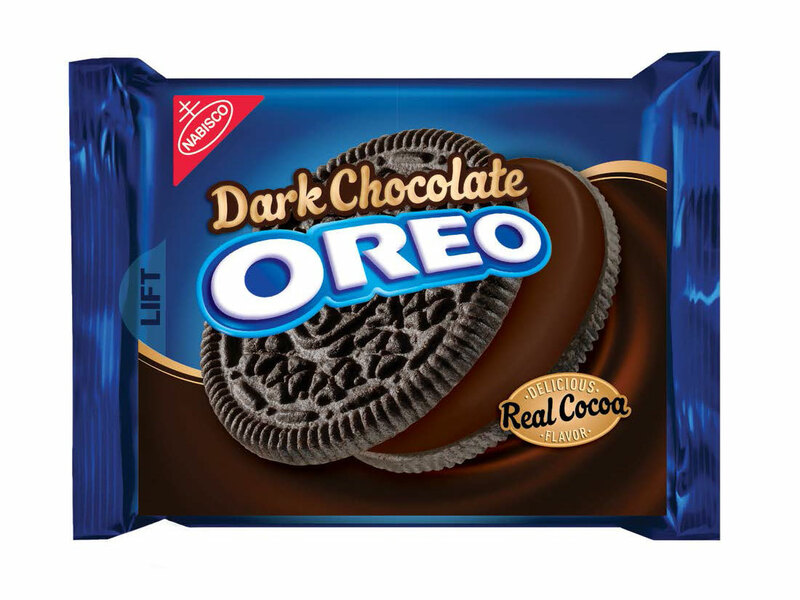 And speaking of down the road, if you think Oreo doesn’t already have other plans for 2019 up its sleeve, you clearly don’t know Oreo — because though news of Dark Chocolate Oreos comes straight from the brand, rumors are already swirling of three other unannounced Oreo flavors that may potentially be released next year. In the past five days, the Instagram account Candy Hunting, which has a solid track record of getting the scoop on new name-brand products, recently posted blurry images of three purported new varieties: Carrot Cake Oreos, Love Oreos, and Easter Egg Oreos. New Oreos will be out for the Valentine's season (aka about 5 seconds after Christmas is over). The filling is described only as "sweet & tangy." Honestly, I'm most excited about the stickers included with these Oreos. I love stickers. And lastly, Easter Egg Oreos are billed as the most boring of the bunch. “New Easter Egg Oreos will be out this spring!” Candy Hunting explains. “They're just purple colored creme with egg-shaped cookies. Not much to see here.” Yeah, I think we’ve seen plenty of new Oreos for one day!